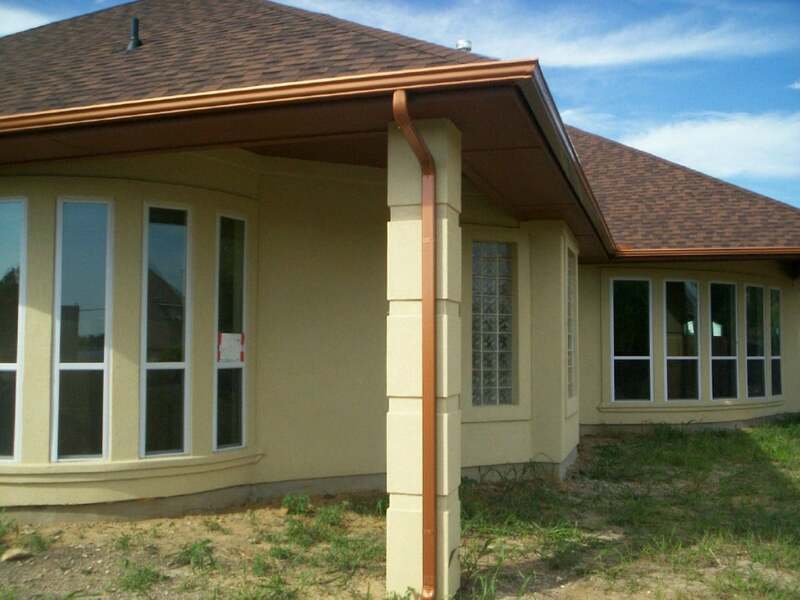 Get the look of upscale copper gutters at a much lower cost when you go with copper painted gutters. 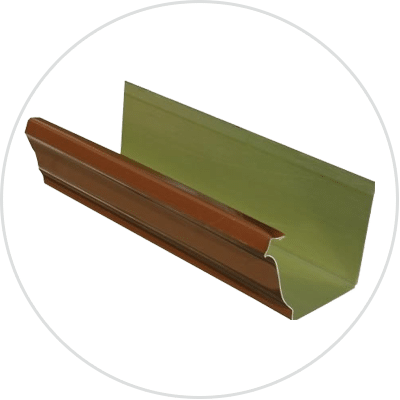 This innovative solution provides you with a seamless metal gutter or half-round gutter that has been painted to look like copper. 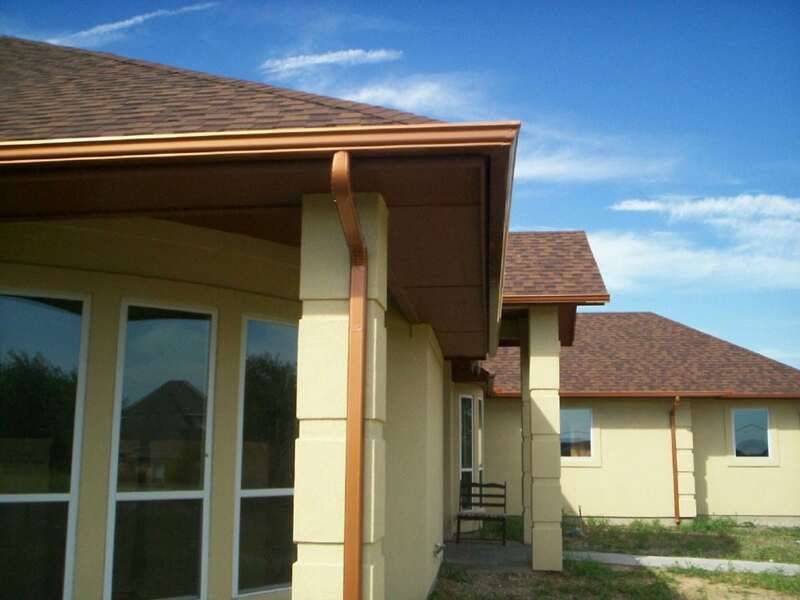 As copper has gotten more expensive in recent years, the interest in copper painted gutters has risen dramatically. 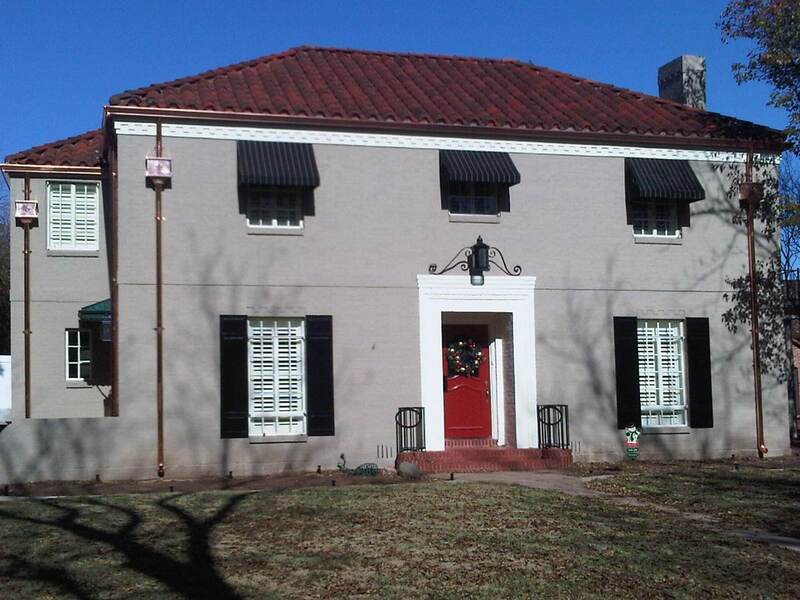 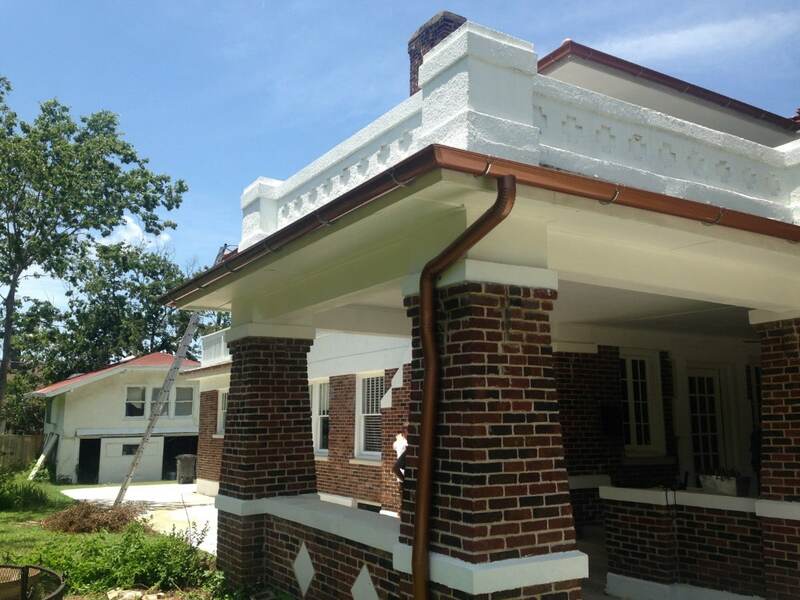 Why Copper Painted Rain Gutters? 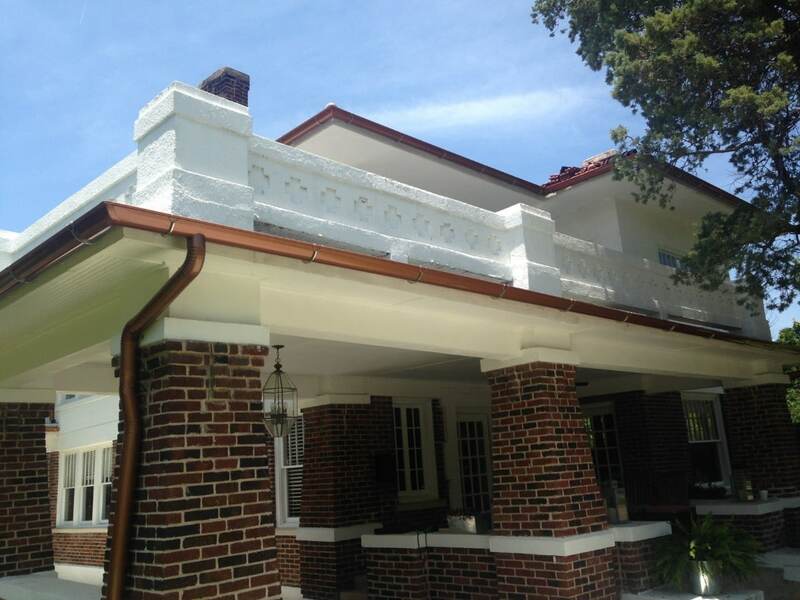 When you want the look of a copper gutter but don’t want the price tag, we have a solution at Metroplex Gutter and Windows: copper painted gutters. 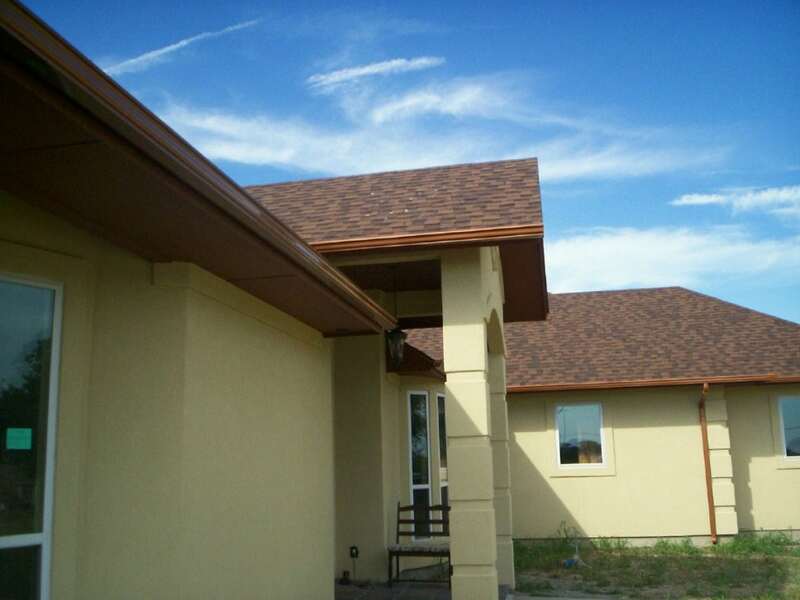 This innovative solution is just what it sounds like it. 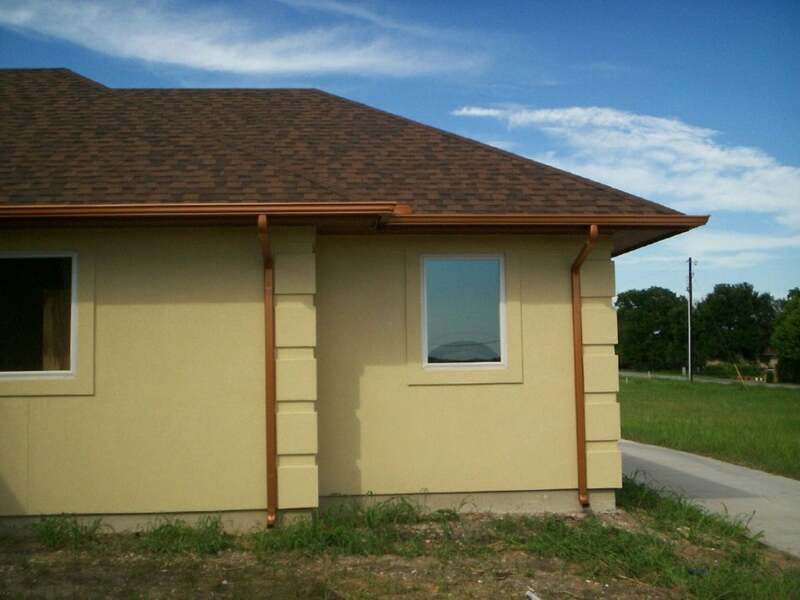 It’s a functional metal gutter system painted to look like high-quality, highly desirable copper. 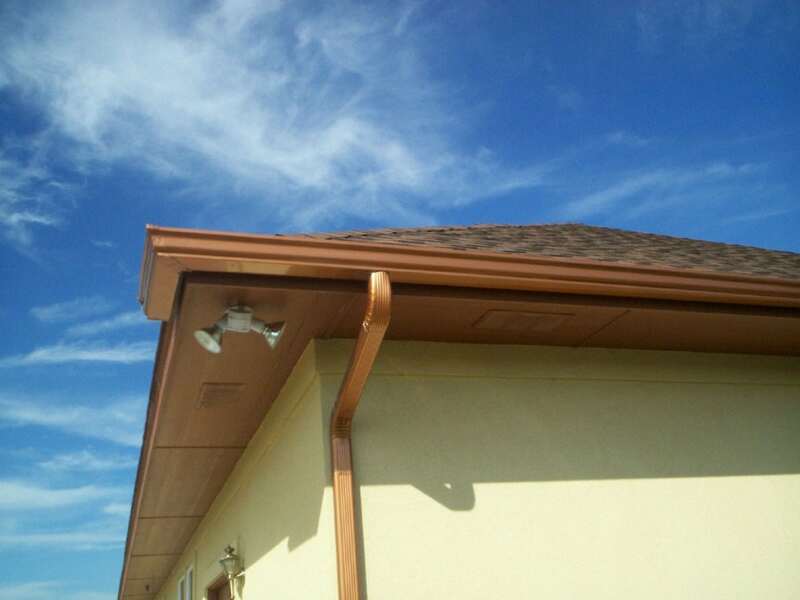 You can have the look of copper rain gutters for a fraction of the cost when you choose copper painted gutters instead. 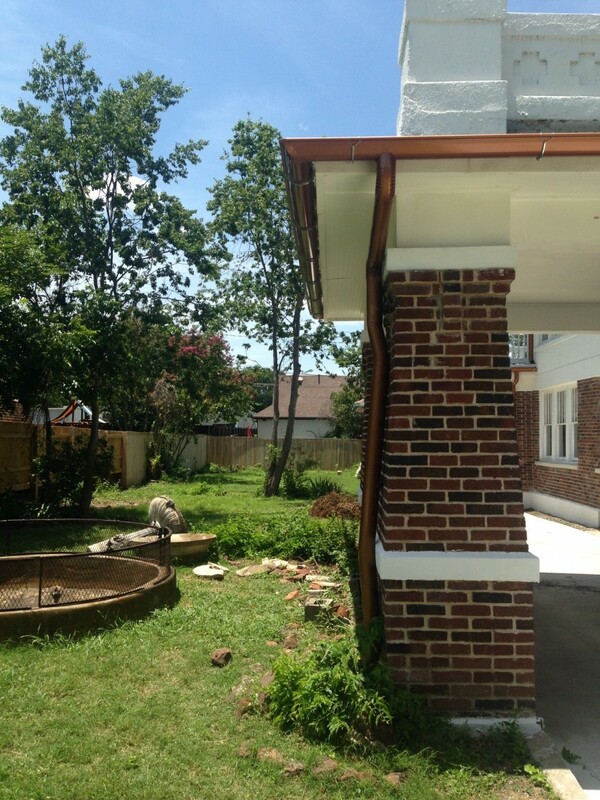 Copper has become very expensive in recent years, and that means it can even be a target for thieves. 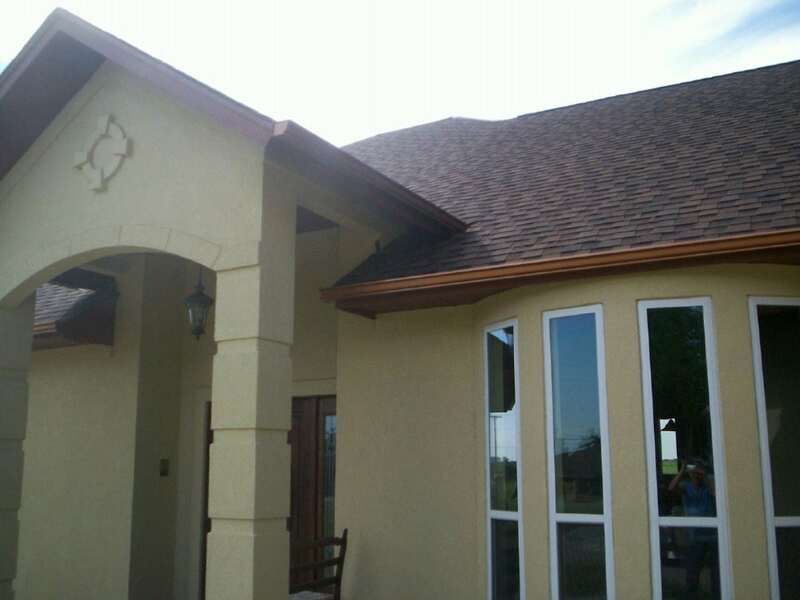 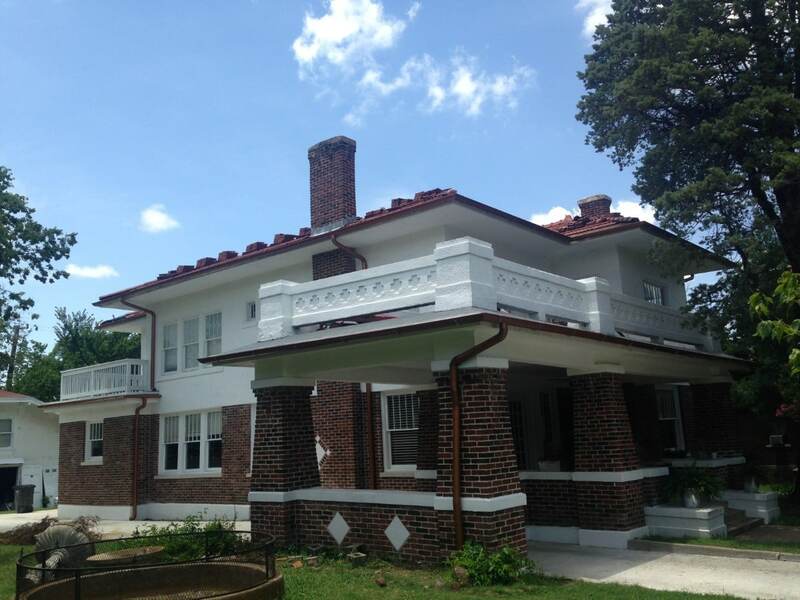 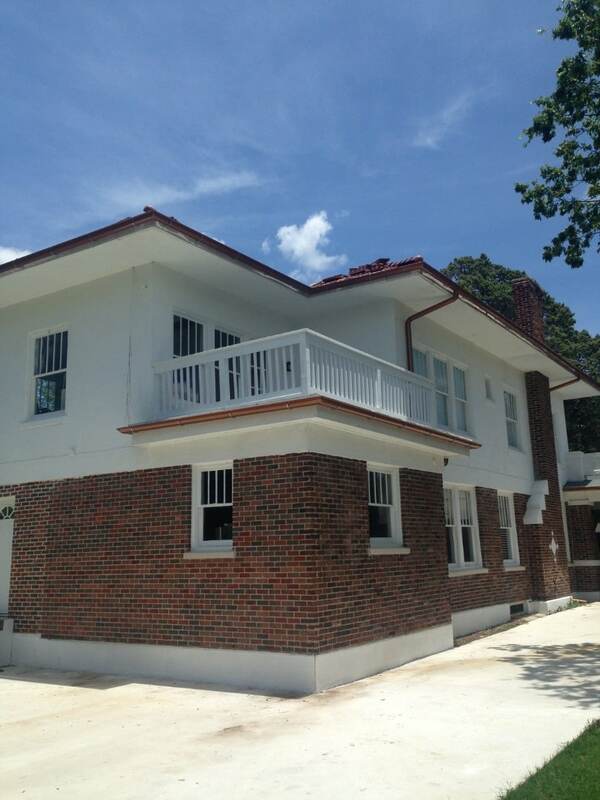 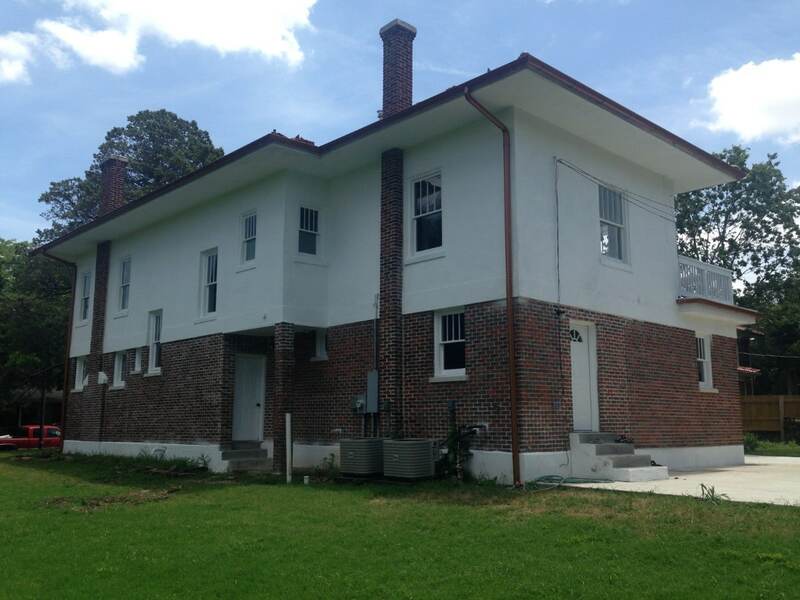 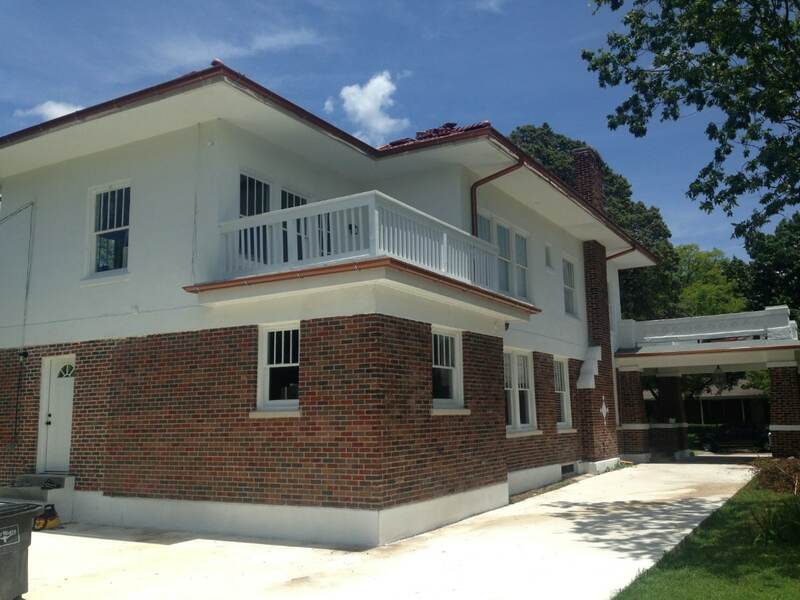 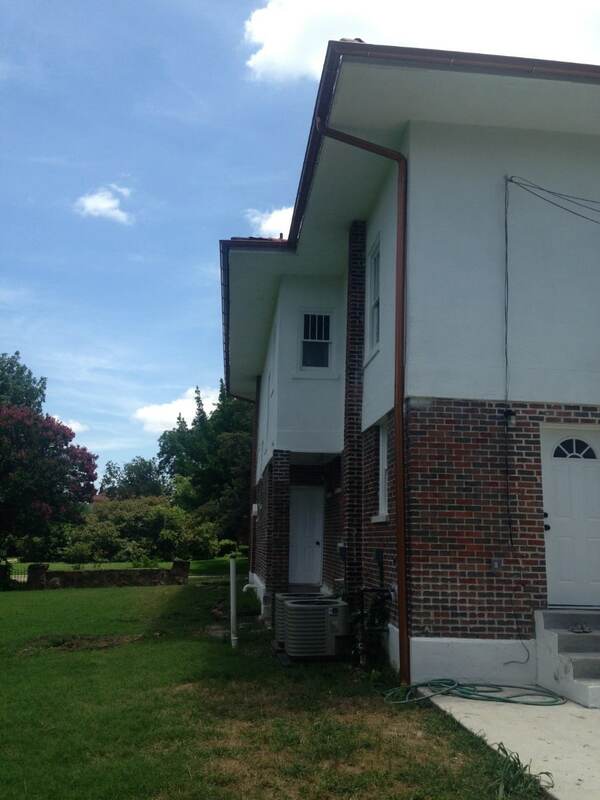 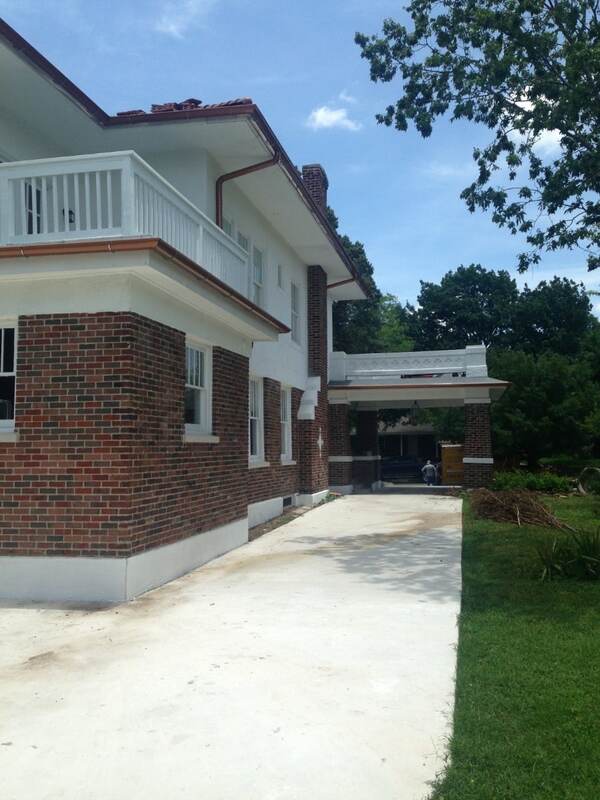 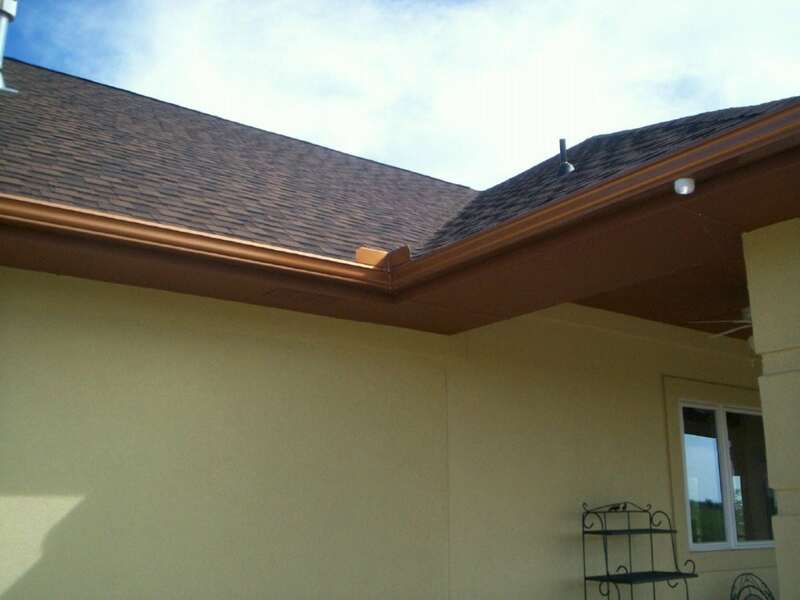 But with copper painted gutters, you can save money while still getting a premium look. 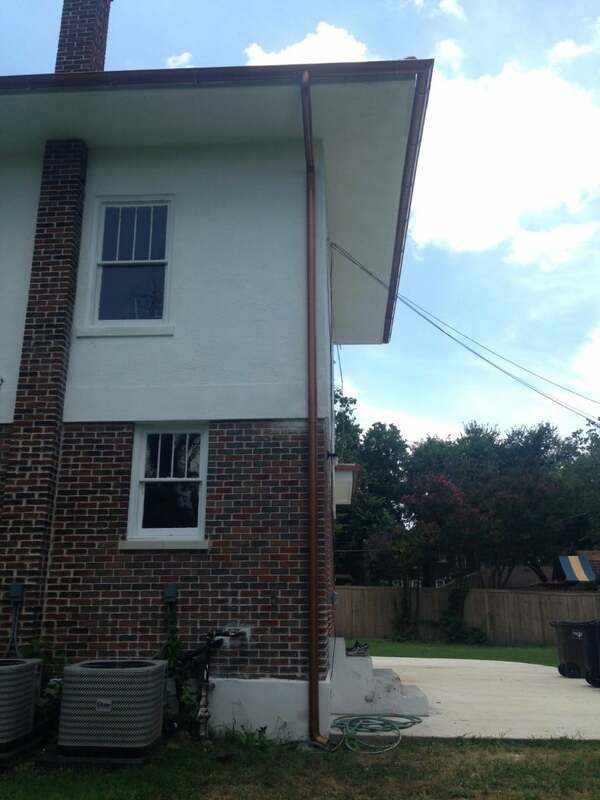 These gutters don’t age and patina in the same way genuine copper gutters do, and some people consider that a plus.